Trust Automation Inc., a supplier of automation technology for defense and industrial applications, has partnered with Cynash Inc. to develop a next-generation cybersecurity platform that can detect and mitigate cyberattacks on the industrial control systems that run critical energy, water, transportation and industrial infrastructure. 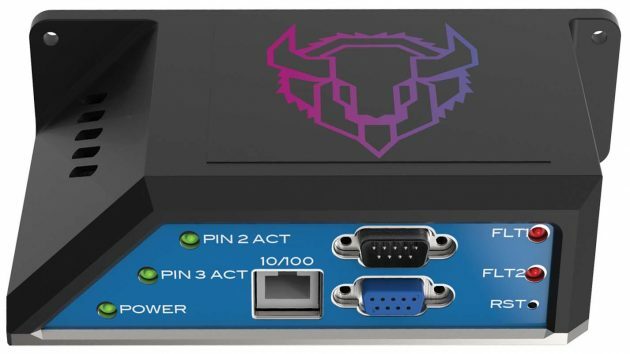 The platform builds upon Cynash’s SerialTapTM, a patented hardware sensor that passively monitors the serial communications used by the majority of the world’s industrial control systems. SerialTapTM can now pass the monitored network traffic to Trust’s Autonomic Intelligent Cyber Sensor (AICS), a machine learning system that employs autonomic computing techniques, fuzzy-logic algorithms and a service-oriented architecture to identify and counter malicious network traffic in real time. Both of these cybersecurity technologies have separately won prestigious R&D 100 Awards — SerialTapTM in 2017 and AICS for 2018. “SerialTapTM and AICS already provide independent solutions to intractable cybersecurity challenges that affect legacy industrial control systems. The integration of these two technologies now lets us solve more extensive security challenges by applying advanced techniques in anomaly detection and behavioral analysis,” says Richard Robinson, president and CEO of Cynash. Security (DHS). The program identifies emerging technologies that have critical national security applications and facilitates collaborations between industry and the investment community to develop new ventures that accelerate the commercial development and adoption of these technologies.